There's been a bit of heat wave here this week so oven cooking is off limits. BBQ only! 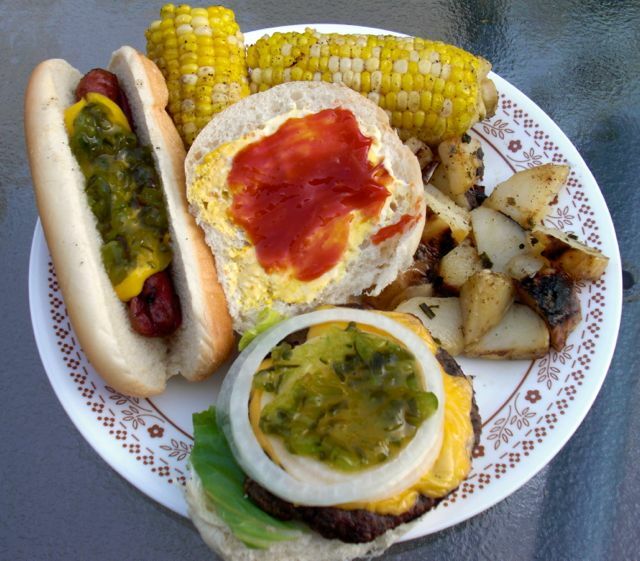 We picked up some fresh farmer corn and new potatoes, and grilled them alongside some hamburgers and hot dogs. Love a good BBQ on a hot day. Wonderful! Looks yummy! Especially the corn. 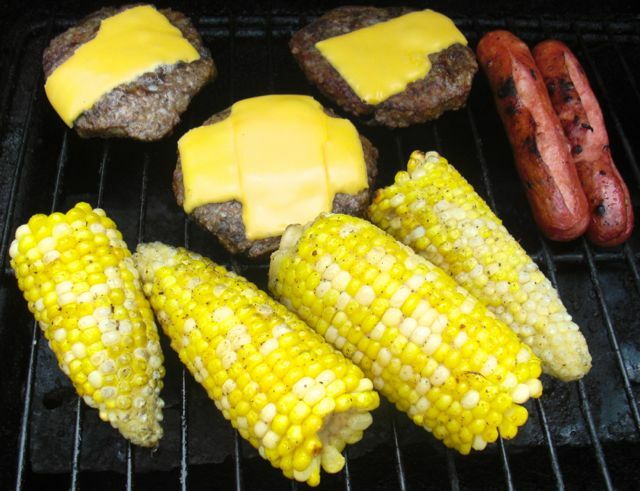 I LOVE fresh corn. It was so good! Could eat food like this every day. You know my feelings on corn. It's our Thanksgiving two weeks here. But this year, none for me. We tried twice and I'm still allergic big time. But I can be happy that you get to enjoy it. Because it's the flippin' best. Sorry it's off the list for you. It has been lovely this year.